I was inspired to create this file from a photo I had seen on the internet. This little trinket box can be great for gift giving, storing photos or special memorabilia. The tutorial video is available on YouTube. 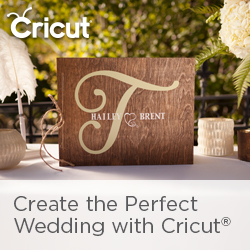 I used the Cricut® Knife Blade with the Cricut® Maker. I also used Cricut® Heavy Weight Chipboard, Cricut® Rose Medley Premium Paper, Cricut® Card Sock in cream and Black (12x24 - 1 sheet black or color of choice needed). I also added a Tim Hotlz® Metal Word Band from the Idea-ology® line to top it off. Total time to cut and assemble is approximately 2 hours. The finished dimensions are 5.25"H x 4"W x 1.75"D. The file is available to my Exclusive Patreon supporters who pledge $5 up. Support me on Patreon to gain access to this file and many more.